It is the quantity of water used by the vegetation growth of a given area. 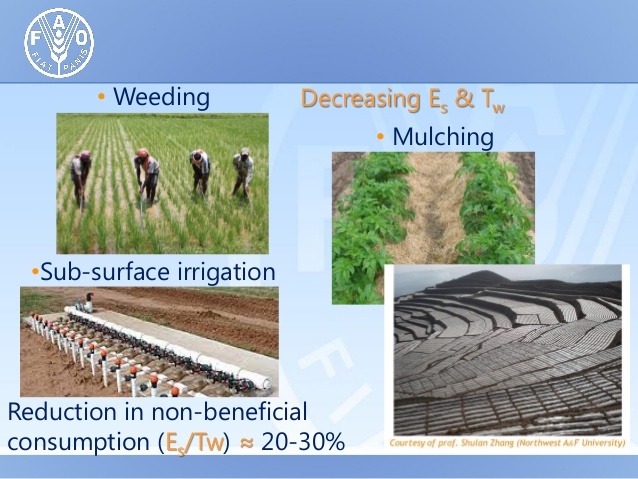 It is the amount of water required by a crop for its vegetated growth to evapotranspiration and building of plant tissues plus evaporation from soils and intercepted precipitation. It is expressed in terms of depth of water. Consumptive use varies with temperature, humidity, wind speed, topography, sunlight hours, method of irrigation, moisture availability. Consumptive Use = Evapotranspiration = Evaporation + transpiration It is expressed in terms of depth of water. It is the consumptive use which produces a maximum crop yield. If sufficient moisture is always available to completely meet the needs of vegetation fully covering the entire area then resulting evapotranspiration is known as Potential Consumptive Use. The total amount of water used in the evapo-transpiration by a cropped area during the entire growing season.